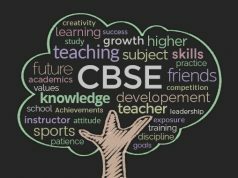 Looking for a comprehensive list of International Schools in Mulshi, Pune? There are a number of International Schools in Pune located in different areas. Our objective here is to bring you the most comprehensive, updated and a complete list of International Schools in Mulshi, Pune. Our list provides detailed information like address, e-mail ID, telephone number, website etc. International School in Pune usually follow curriculum prescribed by International Baccalaureate Organization (IBO) of Geneva. These International schools in Pune offer IB Primary Years Programme ( IB PYP) which is from KG to Grade 5, IB Middle Years Programme (IB MYP) i.e. Grade 6 to Grade 10 and IB Diploma Programme (IBDP) from Grade 11 to Grade 12. There are about 80 schools in India offering IB curriculum.